SUPER ENERGY SAVING: Replace your hungry energy halogen bulbs with these eco-friendly GY6.35 LED Bulbs, the brightness equivalent to 50W halogen bulb and consumes 90% less energy. BE SUITABLE FOR:Perfect for use in Closet Lights, Under-cabinet Lights, Ceiling Lights, Table Lights, Puck Lights, Pendant Lights, Chandeliers, Portable Lamps, Accent Lights, Display and Landscape Lighting etc. ENVIRONMENTAL PROTECTION LED LIGHT: No Hazardous Emissions. No UV or IR Radiation. No lead or mercury. 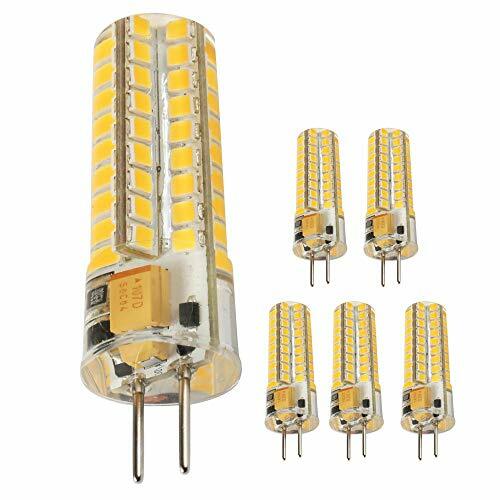 ATTENTION: this is low voltage AC/DC12V GY6.35/G6.35 LED bulb. Make sure you are using a suitable transformer. If you have any questions about this product by Ukey U, contact us by completing and submitting the form below. If you are looking for a specif part number, please include it with your message.